Having a lazy sunday catching up on LFW and watching some shows live, wasn't too impressed by NY but londons looking good. 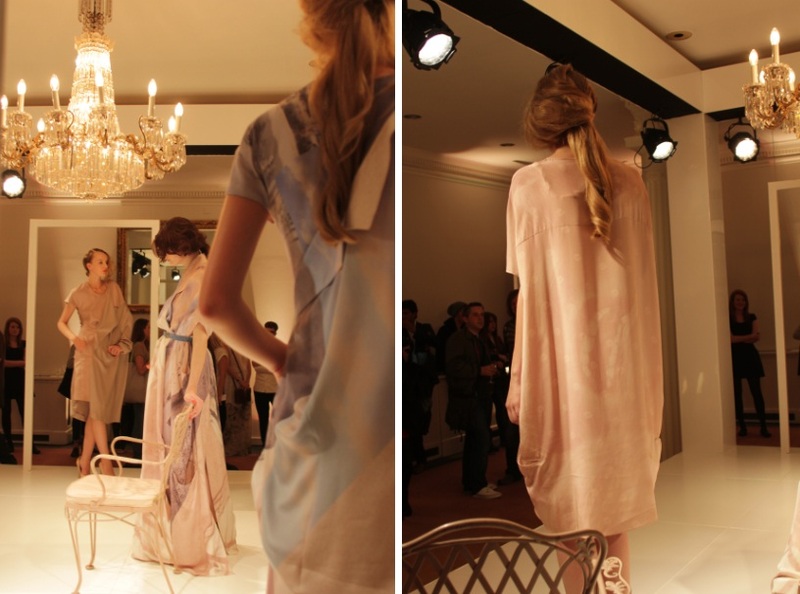 Went to the Teatum Jones spring/summer 2012 presentation at the RSA on friday, it was so beautiful. 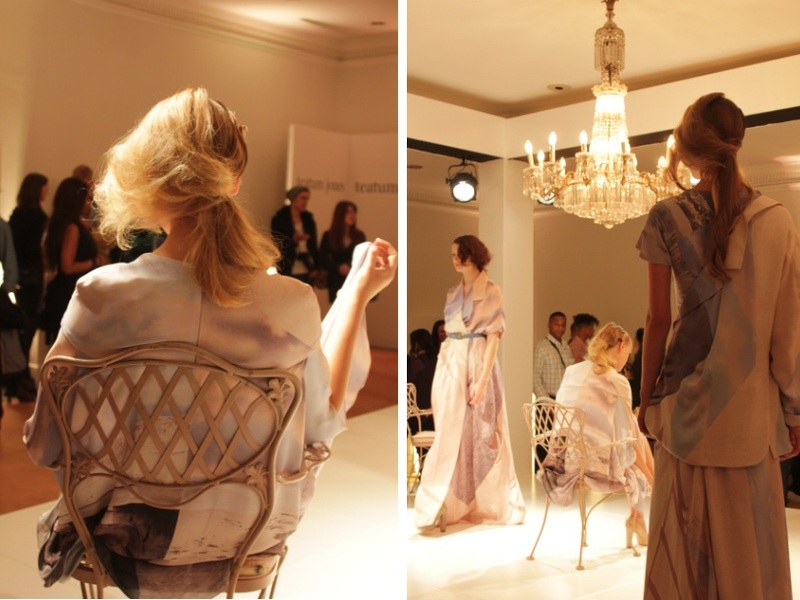 The presentation included a set with a chandelier and white wooden windows while the models playfully teeted around, styled with 20's makeup. The clothes themselves were flawless, a perfect balance of silk and structure, with the most hazy spring colours, lilacs blues and dusty pinks. 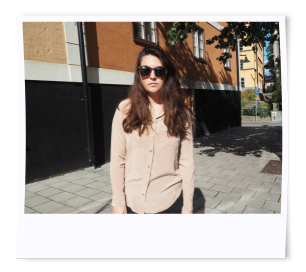 Watch their S/S12 video here, you'll fall in love. love the satchel you have. And beautiful presentation! oh it looks so glam! i need to watch the LFW show asap! I love your jumper. The loose knit is amazing. i want your asos jumper SO badly! could i have the link to your bag please?